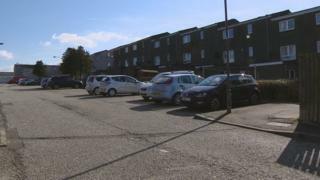 A man has been taken to hospital after being assaulted on a street in West Lothian. Police were called to Kenilworth Rise, Livingston, at about 09:30 after reports of a disturbance. An area of the street was later taped off while officers carried out investigations. A police spokesman confirmed a man was taken to hospital and said inquiries were continuing.